Under the Massachusetts Workers' Compensation Law, MGL c.152, employers and insurers must pay for medical treatment and lost wages that arise from a work-related injury. Irrespective of whose fault your injury is, the employer's insurer must provide coverage for necessary and reasonable medical care. However, before this medical care is provided, the claim must pass a utilization review process that determines if the care is medically necessary. Workers' compensation insurers employ vendors to conduct these reviews according to established criteria. These vendors may be nurse case managers. At Pulgini & Norton, our workers’ compensation attorneys can guide individuals in the Boston area through the utilization review process and other elements of a claim. A nurse case manager is usually an RN who looks at both the medical and legal aspects of a workers' compensation claim. Their case management role includes assessment, planning, and advocacy. The goal is to meet someone's health needs, just as it would be with another nurse. The nurse case manager's loyalty is supposed to be solely with an injured person, and he or she must provide proper and medically appropriate care. A workers' compensation insurer or a third-party administrator is usually the entity that pays the nurse case manager. The insurer is not on the side of the injured worker. That means there is a potential conflict for the nurse between his or her duties as an RN and the payment from the insurer or a self-insured employer. Both the medical and legal sides of a claim must be considered. Although nurse case managers used to be utilized mostly in catastrophic injury claims, they are now used in all sorts of claims, including those involving more minor injuries. The main goal is still to design and implement a strategy of medical care. 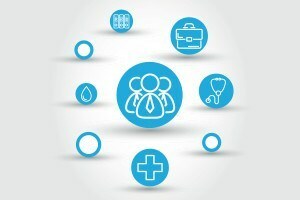 In this role, the nurse case manager will assess all the medical aspects of the case, correspond with treatment providers and refer an injured worker to a specialist, ensure that the physician communicates with the insurer including any restrictions on employment, and consult on the rehabilitation plan. The nurse case manager also communicates with you. He or she can contact you to explain or answer questions about what medical benefits are covered, notify you of clearance for return to transitional modified work, communicate with you about getting medical care, communicate with you to resolve medical injury claims, and alert claims adjustors to cases that may require an independent medical examination. A nurse case manager may be used by the insurer to look for fraud or to evaluate whether it is appropriate to continue benefits. He or she can also help your employer and its insurer prepare the utilization review file to be resolved or for an independent medical examination. Those conducting the utilization review must determine whether a service is appropriate and effective or medically necessary and reasonable. A licensed medical reviewer makes the final decision. After a utilization review, it may be found that a requested treatment is not medically necessary. A nurse case manager can help in making a determination of whether to approve treatment that exceeds guidelines, but he or she only has limited access to the documents used in the utilization review and cannot make the final decision, although he or she is the person who communicates a denial to you. You can appeal an adverse determination, and you can also file a complaint under MGL c. 152 § 10. If you are concerned about your experience with a nurse case manager or encounter resistance to obtaining a treatment you believe is necessary, you should consult a workplace accident attorney. At Pulgini & Norton, we advocate for people in the Boston area who are suffering from job-related injuries. We also represent clients in Massachusetts communities such as Somerville, Cambridge, and Medford. Call us at 781-843-2200 or contact us via our online form for a consultation.